Our stunning 4 row tennis bracelet made with Cubic Zirconia Crystals is sure to dazzle any outfit day or night. Each one of the 160+ Crystals is held in place with a clasp plated with Sterling Silver. 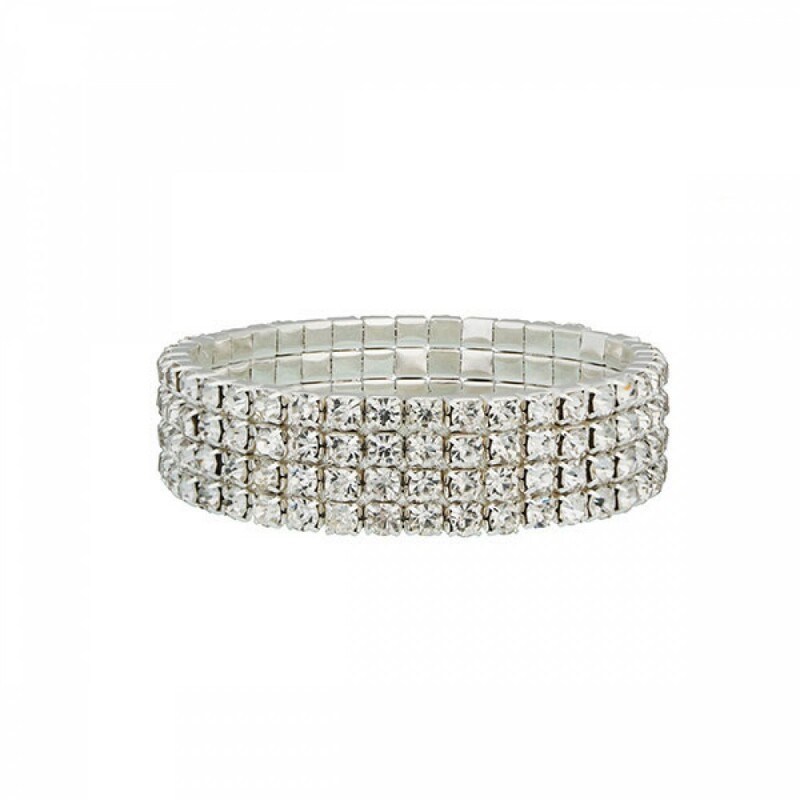 The clever stretch mechanism gives the bracelet an adjustable circumference of 17cm to 22cm.